Throughout history man has recorded what he saw in the sky. Many references and legends concern themselves with the stars and constellations. Unfortunately most of these references revolve around the Northern hemisphere. "Civilised man", and I use that term very lightly, discovered the southern stars early in the 15th Century. Portuguese navigators were the first people to report the "little clouds" and the strange constellations of the south. The Magellanic Clouds derive their name from Ferdinand Magellan, a 15th century Portuguese Astronomer / sailor who was the first ship's captain to circumnavigate the Earth. Upon the ships return it was reported that the clouds were used as a navigational aid due to their position in relation to the south celestial pole. Magellan's original reference to the clouds were Nebecular Major and Nebecular Minor. The first detailed observations of the Magellanic clouds were conducted by Sir John Herschel. The only other work performed at that time was done by James Dunlop from the observatory at Parramatta. Herschel's telescope an 18¼" f/13 was constructed at the Cape of Good Hope. He commenced his observations on the 22nd February, 1834. Three regions of the Southern Sky attracted his primary attentions, the Small and Large Clouds and Eta Carinae, then known as Eta Argus. Sir John Herschel's initial study of the Small Cloud revealed 40 individual clusters and Nebulae, where as the Large Cloud boasted 278 different objects. These 40 objects are known by the prefix NGC, as they become part of the catalogue that the Herschels started, Incidentally Sir John Herschel included the SMC in it's entirety as NGC 292. Of the clouds Herschel wrote "[they are] which have no analogues in our Hemisphere". Today we know that the SMC and the LMC are external Galaxies to our own Milky Way thanks to the work performed by Miss Henrietta Leavitt. The early 20th century saw a dramatic increase in the quality of Astronomical instruments, the most significant being the ability to take photographs. 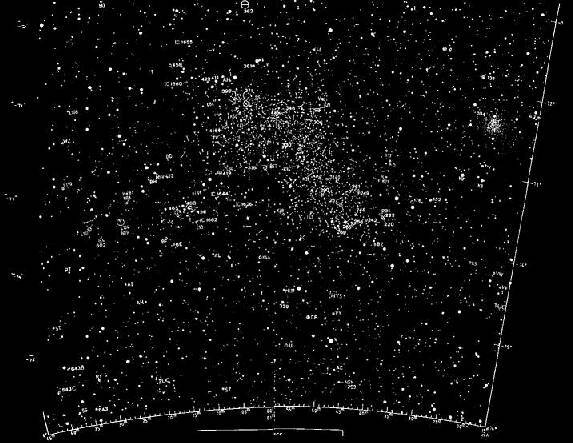 Harvard University in 1895 constructed an observatory in Peru and installed a 24" refractor that could record stars below 16th magnitude in only an hour exposure (not bad for 1895), covering a field in excess of 50 square degrees. The initial survey of the photographic plates revealed "large numbers of star clusters and Gaseous Nebulae in confirmation of the earlier visual observations by Sir John Herschel and others" and "the appalling richness in stars which could be counted not by the hundreds but by the tens of thousands". The observatory sent the photographic plates back to Cambridge Massachusetts where they were checked and any interesting objects catalogued. During the studies conducted on the plates, one of the workers, Miss Henrietta Leavitt, discovered a number of variable stars. By 1906 Miss Leavitt published a catalogue of the variable stars discovered in the SMC. This list contained 969 stars and included the maximum and minimum magnitude for each star. The average mean difference between maximum and minimum was found to be about 1 magnitude, regardless of the stars apparent brightness on the plates. It was some time after Miss Leavitt had published her catalogue of variable stars that she was asked to present the results of her work. She chose 25 stars and plotted their light curve. It was then that she discovered that the brighter stars had longer periods between successive maximums and the fainter stars showed much shorter periods. Miss Leavitt and a Colleague, Professor Pickering recognised that if the brightness and period of variation were related then the mass and size must also be related. The last piece of the puzzle was discovered by Eynar Hertzsprung when he associated the variables detailed in the SMC with the Cephied variables as a standard candle and compared them to the variables in the SMC. He discovered that the SMC was at an immense distance and must therefore be a neighbouring galaxy. The LMC and the SMC are close satellite systems to the Milky Way. The latest distance estimates put the LMC at 170,000 light years and the SMC at 195,000 light years. The SMC is seen nearly end on, so the side facing the Milky Way is roughly 10,000 light years across while the galaxy stretches away from us for almost 30,000 light years. The SMC is also enveloped in a cloud of cold neutral hydrogen. Radio observations of this cloud show that it is being distorted by the LMC possibly due to a close approach by the LMC nearly two million (2,000,000) years ago. Also a trail of this Neutral hydrogen envelopes the Milky Way, following the orbital path of the SMC and LMC around our galaxy. This torus of material is called the Magellanic stream. The stellar content of the SMC is considerably different to that of the Milky Way or even the LMC. The SMC is predominantly dominated by population 1 stars, stars that are usually found in the spiral arms of galaxies. They are usually young blue giants. Spectroscopic studies of the SMC stars show that they are lacking the heavier elements of carbon, nitrogen, and oxygen that are found in our own galaxy. The chemical composition of galaxies change with each successive stellar generation. The heavier elements are synthesised inside a stars' core by the thermonuclear reactions. These elements are released during supernovae explosions where they are added into the interstellar medium to be incorporated in the next generation of stars. The relative rareness of heavier elements and the predominance of young blue giant stars (population 1 ) indicate that the SMC is a young galaxy. The age of the SMC is difficult to estimate but the percentage of heavier elements in the galaxy lead to an approximate age of about 2 billion (2,000,000,000) years. Almost half the age of the earth. The classification of the SMC has also been difficult to determine. The galaxy was originally classed as an irregular and was used as the yardstick to classify other irregular galaxies. The latest research on the SMC has revised this classification to a Barred Spiral Galaxy of low surface brightness with some peculiar aspects or SBsm Pec. The peculiar nature is derived from tidal interactions caused by the LMC and the Milky Way. Any attempt to classify the SMC is fraught with trouble as the galaxy is disturbed by these interactions. The visual brightness of the SMC is 2.2 magnitude considering the galaxy's distance of 195,000 light years the Absolute Magnitude derived is -17. This may seem bright but if you compare the Absolute Magnitude of the Milky Way at -21 you can conclude that the SMC is quite small as galaxies go. The estimated mass of the SMC ranges between six hundred million and five billion (600,000,000 and 5,000,000,000) solar masses. The latest results of "weighing" the SMC puts this figure at almost 2 billion (2,000,000,000) solar masses. The low mass and the low Absolute magnitude of the SMC classes it as a Dwarf Galaxy. To assist the amateur observer in looking at the SMC, several very useful books and observing aids exist to help. Star atlases that detail deep sky objects in the SMC include Uranometria 2000, Herald Bobroff Astroatlas, Mati Morel's SMC Charts and the Hodge Atlas of the Small Magellanic Cloud. 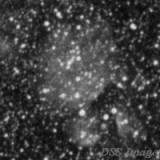 Uranometria 2000 was the first atlas that showed individual deep sky objects in the cloud. The scale in the atlas is small and only the deep sky objects belonging to the NGC and IC catalogue are included. Stars to 9th mag are plotted so navigating around the cloud with this atlas is difficult. Herald Bobroff's Astroatlas would be the most detailed atlas that is generally available off the book shelves. The atlas gives 3 separated views of the SMC. The "B" series chart is a low power view similar to Norton's star atlas. 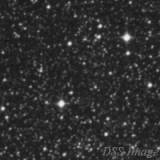 The "C" series gives a medium power view similar to Uranometria showing stars to 9th magnitude, and the brighter deep sky objects. The "E" series chart is the most detailed showing the main body of the cloud with most of the deep sky objects visible in 12" telescopes. Stars are marked to 14th magnitude which makes moving from object to object fairly easy. The scale on the "E" chart is still quite small. In 1989 an Australian observer created on observing guide that is second to none, when it comes to dealing with the SMC. 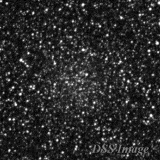 The Mati Morel SMC Charts are fairly large scale 30" per mm and detail stars down to 13th magnitude. A considerable proportion of the deep sky objects visible through a 12" telescope are included. The charts are categorised into 3 types. The "A" charts detail the deep sky objects, which are labelled for easy identification. The "B" charts show the same areas, but the variable stars and some selected stars showing estimated magnitudes are marked. Finally a set of 10 charts in larger scale 5" per mm of selected areas of interest are included. These charts show stars marked below 16th magnitude, with even more deep sky objects identified. The only drawback is that the charts are made for Epoch 1950. The last and definitely the most comprehensive work to detail with the content of SMC is the Paul Hodge Frances Wright photographic atlas of the Small Magellanic Cloud. Published by the University of Washington press, the atlas is comprises of over 200 photographic charts detailing all the known variable stars and the deep sky objects. The charts are grouped into V and B for photos taken in Yellow and Blue light respectively. The limiting magnitude on the charts is about 17.5 for the B series. The scale is large at 16" per mm, for the main set of charts. The main body of the SMC is given an even more detailed review with an even larger scale chart to identify the crowded central region. The deep sky objects are again labelled for easy identification. The variable stars of the SMC are also marked. Just to make this atlas even better a reference book is supplied to tie all of the information together. Both of these last references mentioned are available from Mati Morel while the Hodge Wright atlas of the SMC can be ordered through a book importer or Library service agent such as James Bennett library service. Armed with any of these sources the intrepid observer may wish to start observing the Small Magellanic Cloud. My advice is to go out and observe the SMC today (tonight! ), but if you're waiting for my description of the deep sky objects contained in the cloud you will have to have a little bit of patience. A detailed description of the 75 or so objects marked on Mati Morel's "A" charts follows at the end of this article with a map showing the positions of each object. These deep sky objects should be visible in a 10-12" telescope from a good dark sky like at The OzSky Star Safari. 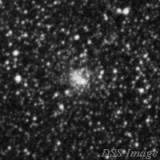 Is a globular cluster, located 2° South West of 47 Tucanae. 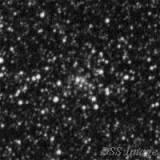 I have included this cluster in the list even though it is not on the charts, as it easily visible in a 10" telescope. The cluster appears as a 2.5 arc minute hazy patch with no central condensation. The outer edge of the cluster is fairly well defined. The brightest stars in the cluster shine at 14th magnitude so when it is viewed through 16" and larger telescope the cluster should start to resolve. 30 arc minutes North of the cluster is a 7th magnitude star which helps in locating the cluster. 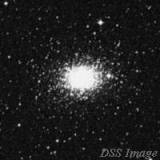 On the Southern outskirts of 47 Tucanae is the Globular Kron 3. 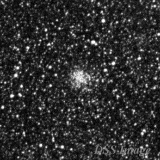 This cluster is easily visible through an 8" scope in a lightly polluted sky and may be visible in a 5" scope from a dark sky. It lies between two 10th magnitude stars with a 3rd. magnitude star 3.5 arc minutes to the North East. The surface brightness of the cluster is even across the face with no central condensation. The outer edge of the cluster fades rapidly into the sky background and is fairly well defined. 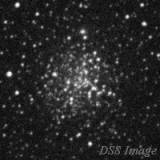 The apparent size of the cluster is 1.5 arc minutes and looks very nice with the crowded background of 47 Tucanae. 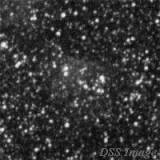 Large telescopes show a degree of mottling to the cluster but it does not even begin to resolve in the 20". Is yet another globular cluster in the vicinity of 47 Tucanae, 13 arc minutes East of Kron 3 and 44 arc minutes South of 47 Tucanae. 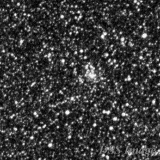 Again this cluster is not marked on the map but I have included it in the list as a challenge to large scope owners. 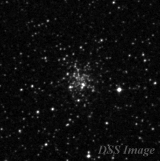 The cluster has a low surface brightness and is 45 arc seconds across. There appears to be no central condensation to the cluster. It may be hard to pick the cluster from the starry background. High power is recommended to see Kron 3 and Kron 7 together. The Northern edge of 47 Tucanae reveals yet another small globular cluster. Discovered by Sir John Herschel during his observations of the SMC. His initial description for the cluster was "Pretty bright, pretty small, very gradually brighter middle". This description is quite accurate as it is 1.5 arc minutes across and 10.6 magnitude. The central 40 arc seconds is much brighter than the outer environs of the cluster. The cluster is well detached from the background sky. The bright central condensation makes this a challenging target for a 4" telescope. The brightest stars in the cluster are about 15th magnitude but it's compact size makes it difficult to resolve. This cluster looks like a slightly larger and brighter version of Kron 3. It can be located 1° South East of 47 Tucanae .The cluster is 1.5 arc minutes across with no central condensation, and has an integrated magnitude of 12.8. This cluster was also discovered by Herschel with his 18¼" telescope but owners of 6" scopes may glimpse this globular cluster from a dark sky. No central condensation was visible but the brightest stars do start to resolve with larger telescopes. The cluster is well defined from the background sky. This open cluster can be found 13 arc minutes East of NGC 152 and 3.5 arc minutes South of a 7th magnitude yellow star. Herschel described the cluster as extremely faint; this is not something that I would agree with The cluster has a bright well defined Nucleus. No size estimates exist in the catalogues but I would put it at 30 arc seconds in diameter. The central 15 seconds is bright while the outer areas of the cluster gradually fade into the sky background. The compact nature of the cluster makes it difficult to resolve individual stars even in a 20" telescope. The bright nucleus of the cluster makes it easily visible in an 8" scope but owners of 6" telescopes may wish to try. Is a large open cluster 40 arc minutes North East of NGC 176. It is fairly large being 1.5 arc minutes in diameter with a fairly low surface brightness. A 10' telescope with medium power should show this cluster clearly. No central condensation could be seen and it appears to be not well detached from the background sky. Large telescopes will not resolve the cluster as the brightest stars are below 16th magnitude. The Northern edge of the cluster appears to be flattened along an East-West axis. This is the first in a group of 3 open clusters that sit right on the Western edge of the SMC star cloud. 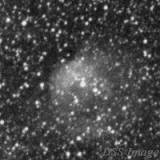 The cluster is located 25 arc minutes South East of NGC 176. 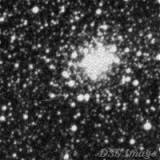 This small cluster is 40 arc seconds in diameter with a condensed nucleus that is quite bright. The total magnitude of the cluster is 11.5. The cluster should be visible in a 6" telescope. In the 20" the stars in the outskirts of the cluster start to resolve and a faint chain of stars becomes visible. This makes the cluster appear oval in shape. A 10th magnitude star lies between NGC 220 and the next cluster in line. The last and largest in the small group of clusters. The original description of the object was an "irregular train of stars and nebula". Upon looking at this cluster, though I could only call this partly correct. The cluster is a scattering of mostly 13th and 14th magnitude stars in an irregular shape not well defined from the sky background. The cluster is 1.5 arc minutes across and is located 2 arc minutes North East of NGC 222. The cluster should visible in a 10" telescope and appears well resolved in larger scopes, as the fainter stars become visible. Upon checking the cluster with the UHC and OIII filter I was unable to find any associated nebula. In fact all 3 nebula were free of nebulosity. This group of 3 clusters can be seen in 10" scopes together when viewed at medium to high power. These clusters lie on the Western edge of a fairly bright star cloud. Is a very interesting open cluster, 12.5 arc minutes East of NGC 220. This compact cluster is 25 arc seconds in diameter and has a very strong central condensation. It is fairly bright at 12.2 magnitude and should be visible in a 6" telescope. Surrounding the cluster is a scattering of 12th and 13th magnitude stars. Large telescopes may start to resolve the cluster but this scattering of stars makes it difficult to be certain. On the South Eastern edge of the cluster is another compact group of 15th magnitude stars. This second group is SE 3 another open cluster. This cluster should be visible in 12" scopes, and large scopes like my 20" show this double cluster very nicely. 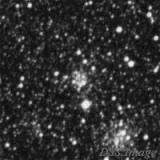 About 8 arc minutes to the North East of NGC 242 is the open cluster NGC 248. The cluster is 25 arc seconds in diameter with a bright nucleus. The nucleus is 10 arc seconds in diameter and should be visible in a 6" telescope. The brightest members are visible in a 12" scope scattered across the face. A 12" will also reveal an extended halo extending to the North away from the cluster for almost 40 arc seconds. This gives the cluster an almost comet like appearance in the 20" telescope. Several 13th and 14th magnitude stars are also visible in the halo. When the UHC filter was used to observe this cluster the outer envelope immediately leapt out strongly. The cluster also reacted well to the UHC filter. The nebula complex showed good detail in the 20". A clear division or dark lane could be seen between the cluster and the extended halo. This nebulosity is catalogued as e13. 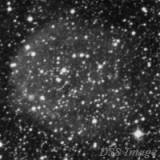 For the really adventurous observer a planetary nebula that belongs to the SMC lies 1 arc minute North of NGC 248. This planetary is about 1-2 arc seconds in diameter so don't expect it to be anything but stellar. The best recommendation I can give the ambitious observer is to use the filter to blink with in front of the eyepiece, which ever star doesn't dim in that area is the planetary. NGC 256 is one of the most unusual open clusters in this area of the SMC. The first thing you notice is that the cluster appears to be triangular in shape. It is very compact in size at 15 arc seconds across and has a high surface brightness. The total integrated magnitude is 12.2 so it should be visible in a 6" telescope, but to see it's distinctive shape I would recommend a 10" scope. 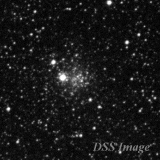 The cluster is located 10 arc minutes South East of NGC 242 with a 10th magnitude star 2 arc minutes North of the cluster. The cluster is homogenous in surface brightness with no appreciable nucleus. The edge of the cluster is sharply defined and resists resolution even in a 20" telescope. 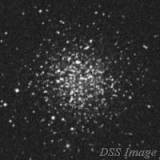 Is a bright globular cluster 30 arc minutes East North East of NGC 256. The cluster is 1 arc minute in diameter with a slight condensation toward the core, the cluster fades in the outer region gradually in to the sky background. The globular cluster is bright at 11.9 magnitude and is visible in a 6" telescope. 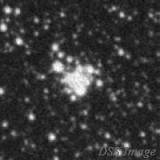 This cluster does not appear round as it has a flattened Northern edge. This only seems to appear in lager aperture scopes. Partial resolution was achieved in the 20", so the brightest stars in the cluster should be about 15th magnitude. This is one of the few SMC globulars that looks like a globular. A complete contrast to the previous globular, NGC 269 can be located just 1 arc minute East South East of NGC 265. This globular is faint and may be difficult for an 8" scope. The small size of the cluster at 25 arc seconds also makes it a difficult object. The cluster shows a minimal condensation toward the centre. 3 arc minutes to the South East is a 10th magnitude star, and some 14th and 15th mag. stars surround the cluster. The cluster though resists all efforts to resolve in the 20" telescope, but a 14th mag. star lies on the North Western edge. This cluster lies in a large star cloud in the SMC. The cluster is almost 2 arc minutes in diameter. There is no central condensation, and because it lies in the star cloud, the cluster is harder to pick from the background. The brightest stars should be visible in a 10" scope and appears to be fully resolved in the 20". Herschel's description advised that it included some associated nebula. When a UHC filter was employed the whole field of the eyepiece came to life. The cluster NGC 267 is enshrouded in nebula which appears to extend the object to 6 arc minutes. Directly to the East is a second separate nebulous area classified as N28. This nebula was fainter in surface brightness than the nebula surrounding the cluster. The Cepheid variable HV 1454 is embedded in the Southern extremity of the nebula. It has a maximum brightness of 11th mag and a minimum of 13th Unfortunately I don t know over what period it varies. Some 10 arc minutes North is another complex of nebulosity. This time made up from a small round nebula N30 which is quite diffuse and a large oval nebula nearly 8 arc minutes in the long axis. This complex is peppered with 13th to 15th magnitude stars. In larger telescopes the nebula shows a fair bit of detail. This area of the SMC is quite astounding and deserves some extra attention. 10" to 12" telescopes at low to medium power and armed with a UHC filter should be able to fit the entire complex of nebula into a field of view. This is the NGC number for the entire galaxy of the SMC. To the naked eyen the SMC is quite a sight. It appears as a small detached part of the milky way. There are 3 easily visible stars surrounding the galaxy. Gamma Tucanae lies 1° directly South of the galaxy and shines at a magnitude 4.1. About 1.5° West of the galaxy lies the second star 47 Tucanae. To the naked eye this globular cluster appears as a 4th magnitude star. To the North West approximately 3° away is Pi Tucanae. Several other stars may be visible naked eye from truly dark skies. To see the galaxy as a whole in a telescope, a wide field is required. If you have access to a scope showing at least a 3° true field, you will be able to fit the main body of the SMC in the eyepiece. The SMC is very reminiscent of NGC 6822 in Sagittarius when viewed through a 16" or larger telescope. It is an elongated, mottled, and hazy with no central condensation through my 3.5" f/5.8 spotting scope. The South Western end of the galaxy is homogenous with a slightly grainy look toward the centre, possibly due to a number of bright open clusters in that area of the galaxy. Through the spotting scope the North Eastern end of the galaxy shows some brighter patches that correspond to the bright nebulas NGC 346 and NGC 37l. Also dominating this area of the galaxy is the bright globular NGC 362. 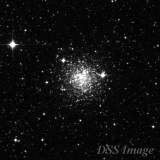 Like 47 Tucanae, NGC 362 is associated with the Milky Way not the SMC. The South Eastern side of the galaxy also shows some condensed bright patches and this complex corresponds to NGC 456 and NGC 465. The background sky is peppered with 10th to 12th magnitude stars which will be visible to the small 3"- 4" rich-field telescopes. Whether you view the SMC with the naked eye, binoculars, or a small rich field telescope, the appreciation of seeing fine detail in a galaxy is awe inspiring. This open cluster with associated nebula can be located 20 arc minutes North of NGC 248 (see previous issue for description). The Nebula is 2 arc minutes across and almost round in shape. A star of 12th magnitude can be found just North of the centre of the nebula. It has a low surface brightness and no central condensation. Several low brightness stars are scattered across the face of the nebula, these being the cluster members. The Northern edge of the cluster appears well defined against the background even though it has a low surface brightness, owners of 6" telescopes may wish to try for NGC 249 at medium to high power with a UHC filter. When a filter is used with the 20" scope the nebula changes dramatically. A faint outer envelope becomes visible with the added contrast making the object abut 4 arc minutes in diameter, and changing shape to be more oval in appearance. The star near the centre is drowned out and a distinct brightening can be seen toward the middle. A very faint extension of the nebula seems to project East toward NGC 261 an 11.5 magnitude star lies 2½ arc minutes to the South West. This bright nebula is almost a twin with NGC 249 and can be found only 5 arc minutes East from it's border. 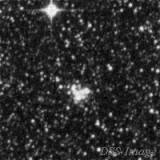 It is similar in size being 2 arc minutes in diameter and also contains a 12th magnitude central star. No other stars are visible across the face of the nebula. The North Eastern edge of the nebula appeared to be flattened, otherwise it appeared oval in shape. 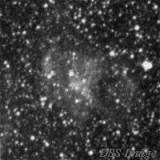 The nebula had a higher surface brightness than NGC 249 and no central brightening could be seen. Immediately East is a large star cloud so the sky background is quite bright and peppered with 15-16 mag stars. NGC 261 was well defined from this background. This slightly higher surface brightness will make this an easier object for the 6" scope owner. The UHC filter increased the contrast on this nebula making it appear 4 arc minutes in diameter. A faint halo could be seen surrounding the object and a faint extension could be glimpsed projecting to the West toward NGC 249. The central star remained visible, this made the nebula appear like a planetary nebula. When I consulted the Hodge Atlas of the SMC, I discovered that the surrounding area is filled with emission nebula. The large star cloud to the East of NGC 261 is a complete nebula complex with the designation of Henize 19. In what size scope this complex could be seen I do not know, why not write about your observation and tell. Moving East from NGC 261, through the star cloud, about 45 arc minutes is this fairly bright open cluster. 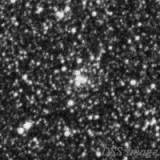 This cluster is compact being about 1½ arc minutes in diameter. It is roughly round in shape and the outer regions of the cluster seem to partly resolve. A slight condensation could be seen toward the nucleus. The individual stars glimpsed would be around 15th magnitude. The cluster is sharply defined against the background sky, which is quite bright. No nebulosity is mentioned in association with this cluster but observations show that the cluster has a brightening in the OIII on the Northern edge. It is very small being only l0 arc seconds in diameter (if that) and appears brighter than the entire cluster. Due to it's compact size and high surface brightness this cluster should be visible at high power in a 6" telescope. The RNGC lists this object at 12th magnitude, but gives no description. L40 is a large open cluster about 4 arc minutes across positioned 20 arc minutes North of NGC 290. The cluster is primarily made up of 15th -16th magnitude stars, with a scattering of 13th -14th magnitude stars thrown in. The brightest star on the Northern edge is 12.8 magnitude. The cluster is predominantly square shaped due to the distribution of the brighter stars. An absence of the stars in the centre of the cluster make it look like there is a dark nebula there. The Northern edge of the cluster is the brightest and appears sharply defined, otherwise the cluster is not as well detached from the background sky. The large size and low surface brightness will make this cluster a challenge with a 10" telescope. No nebulosity is associated with this cluster at all, in fact it became invisible when observed with a filter. This compact open cluster is 30 arc seconds in diameter with a bright central condensation. It is round in shape and has no stars scattered across the surface. It is located 8 arc minutes East of L40. The surface brightness is higher than L40 so it should be visible in a 10" scope. It was discovered in 1956 during a photographic survey of the SMC. It's position in the central bar of the SMC insures that the sky background is higher but it is still well defined. A 10th magnitude star lies 7 arc minutes to the South-South-West of the cluster, with an 11th magnitude star also 7 arc minutes to the North-North-East. No nebula is associated with this cluster either. Kron 31 is a large diffuse open cluster and has no central brightening. The low surface brightness of this cluster and it's 3 arc minutes diameter will make this object a challenge for an 8" scope. It can he found 10 arc minutes North East of Kron 29. The brightest stars of the cluster appear to be about 14th magnitude with a slight concentration towards the North Eastern edge. The cluster appears to lie on the Eastern edge of the bar of the SMC. The cluster does not stand out from the background sky as easily as some of the previous clusters. Large scopes may reveal a chain of stars headed West from the clusters Southern edge. 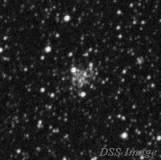 A compact cluster about 20 arc minutes East-North-East of Kron 31. It is about 1 arc minute in diameter and has a slight concentration toward the core. The surface brightness is otherwise even. The cluster is sharply defined from the background sky and is round in shape. The cluster should be visible in an 8" telescope at high power. When the cluster was observed with a UHC filter no nebulosity could be seen. A triangle of 12th magnitude stars were visible just off the North Western edge of the cluster. No stars are across the clusters surface. This open cluster can be found 40 arc minutes South-South-East of NGC 290. It is quite compact being about 35 arc seconds in diameter. The cluster has a very bright central core with a high overall surface brightness. No stars are visible across the face of the object. This cluster is situated out of the main bar of the SMC so the background sky has darkened considerably. It is sharply defined against this background. The cluster should be visible in an 8" scope at high power. Kron 38 is located 30 arc minutes East of Lindsay 47. The main bar of the SMC is almost 1 degree to the West, so the sky background here is low, which for this cluster is good. The cluster is 3½ arc minutes in diameter. It has no central condensation and seems to be primarily made up from 15th -16th magnitude stars. There are several 12th magnitude stars scattered across the face of the cluster. The surface brightness of the cluster is very homogenous with a very slight brightening to the North The cluster has an ill defined edge and is not separated very well from the background sky. The very low surface brightness and large size will make this cluster a difficult object for a 12" telescope from a good dark sky. No nebula is associated with this object when it was checked with the OIII filter, in fact the cluster was not visible at all. The star Lambda Hydrus lies almost 1 degree South of the Southern edge of the SMC. This 5.1 mag star is the starting point to find the next two objects. NGC 339 is a globular cluster 40 arc minutes to the North East of that star. The cluster is bright and large being 2 arc minutes in diameter. There is a slight condensation toward the core. No individual stars are visible in the cluster but it does have the grainy look about it that suggests it will resolve in a slightly larger telescope. 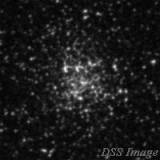 The surface brightness is even in the centre of the cluster and starts to drop about ½ the diameter out. The edge of the cluster is diffuse and no bright stars are visible near. 10 arc minutes North of NGC 339 is the compact open cluster Kron 37. 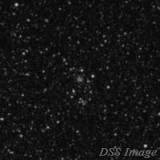 The cluster is 3 arc mins in diameter with an even surface brightness. The cluster resists attempts to resolve even with the 20" scope. The cluster is quite faint and should be visible through a 10"- 12" telescope. No brightening towards the nucleus was visible and no stars were scattered across the face. The cluster was detached from the sky background with no stars brighter than 12th magnitude in the area. The definitive Murrell object in this batch of objects. It was discovered on photographic plates take by Harvards "ADH" Baker Schmidt telescope in South Africa in 1956. 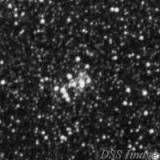 This is a small cluster about 1.5 arc minutes in diameter with a regular round shape. There is no central condensation so the cluster appears to have an even surface brightness. No stars are resolved in or around the cluster except for a 10.5 magnitude star that lies right on the Western edge of the cluster. The difficult thing about observing this cluster is it's extremely low surface brightness, estimated to be below 15th magnitude. I would only recommend this object to observers using 16" or larger telescopes, from a very good dark sky as good sky contrast is definitely required. The Mati Morel charts show the 10.5 magnitude star on the edge of the cluster as being a variable. I have yet been able to detect any variation in it's brightness but perhaps some of the society's variable star experts can shed some light. An open cluster on the edge of the SMC. Discovered by Sir John Herschel, he described it as being "pretty bright, round nebula, very small, resolvable." The first problem of observing NGC 299 is that Uranometria and Sky Atlas 2000 list the object as a bright nebulae. It would appear that the RNGC compiled and updated in 1973 initiated this mistake, which has carried through to these Atlases. It is interesting to note that the Mati Morel charts and the Herald Bobroff Astroatlas were able to pick up this mistake and correct it in their works. The cluster is 1 arc minute in diameter and is well defined against the background sky. No central condensation is visible but a number of the brightest stars in the outer region of the cluster become visible in the 20" telescope.The cluster appears triangular in shape with the resolved stars being positioned about the South Western corner. The triangular shape was visible at low power. The cluster is listed as being 11th magnitude and should be visible in a 6" telescope from a good dark sky. The sky background around the cluster is peppered with 15th and 16th magnitude stars making a nice backdrop. 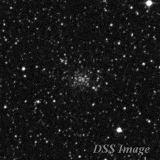 Is a small open cluster 40 arc second in diameter. 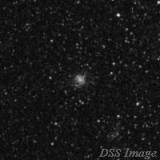 It is located 6 arc minutes South West of NGC 299. The cluster is quite compact and has no central condensation. The surface brightness is even across the face of the cluster with no stars resolved. A 13.5 magnitude star can be seen about 10 arc seconds off the Southern edge of the cluster, while a pair of 12th magnitude stars frame the Eastern side 1.5 arc minutes away. Inspecting the cluster with a UHC filter revealed no nebulosity. The cluster is positioned on the edge of the main bar of the SMC, so the sky background is not quite as distinct. The cluster is easily visible against the sky background with a well defined edge. 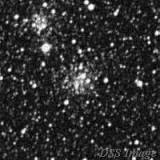 This cluster though similar in look to NGC 299 is fainter and should be visible in an 8" telescope. At the Northern end of the central bar of the SMC lies the bright cluster NGC 371. It is located 20 arc minutes North East of NGC 346. NGC 371 is very large, covering an area in excess of 7 arc minutes. This corresponds to a real size of approximately 350 light years. Discovered by Sir John Herschel during his observations of the SMC, he described it as a faint large cluster of 14th to 16 magnitude stars round in shape. The clusters high surface brightness makes it easily visible in a 6x30 finder. A good pair of binoculars shows NGC 371 as a bright knot on the end of the main bar of the SMC, due South of the bright globular NGC 362. 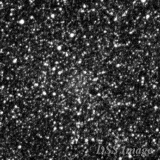 My 90x20 finder shows the cluster complete with some of the surrounding bright stars. Using a UHC filter in this telescope reveals the faint glow of the surrounding nebulae as well. NGC 371 and NGC 346 make a marvellous pair of objects for a small rich-field telescope. 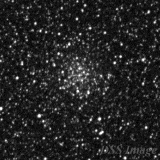 Through a 20" ƒ/5, NGC 371 appears as a very large very diffuse cluster with the stars ranging from 9.5 magnitude to well below 16th. There is only a slight hint of condensation in the centre of the cluster. The brightest stars in the middle of the cluster are 12th to 13th magnitude and form the shape of a chair facing to the North West, with the backrest orientated North East to South West. The 13th magnitude star that makes the centre of the backrest has a chain of 13th magnitude stars trailing away to the North 3.5 arc minutes were it meets a double star. From this double star the chain of stars loops West and leads back to the centre of the cluster. Several other 12th and 13th magnitude stars are scattered about. Peppered through these brighter stars are a multitude of 14th to 16th magnitude stars. Through a 20" ƒ/5 it still appears to be resolved. This grouping of fainter stars increases the overall size of the cluster to 5 arc minutes across, still round in shape. Throughout the cluster a ghostly glow can be glimpsed. This is the nebulosity associated with the cluster. This glow is round in shape and roughly corresponds to the shape of the cluster. Placing a UHC filter in the telescope will change the view dramatically. The nebula is round in shape, 5 arc minutes in diameter with a slight flattening on the South Western edge. The faint members of the cluster are no longer visible but the bright chair shape is still there. The nebulae has a fairly even surface brightness with just a slight darkening toward the centre. When I consulted the RNGC, NGC 371 was listed as an open cluster, with no mention of the nebula. Even the Mati Morel detailed charts did not show any nebulosity. Only by checking the Hodge Atlas of the SMC was I able to identify the nebulosity as Heinze 97. It seems strange that no mention of the nebula is made even though it is visible through a 10" telescope equipped with a UHC filter. In fact it may even be visible through smaller instruments. Removing the filter and lowering the magnification revealed a faint outer halo of unresolved stars. This halo became most prominent around the South West corner of the cluster. This may be the combined glow of a small SMC star cloud or stellar association. Due to the clusters' location in the SMC the sky background is quite bright. The outer halo has no distinct edge as it blends into the general sky glow. I would estimate that the cluster would appear to increase in size to 7 arc minutes by including this halo. The view of NGC 371 without the filter reminds me of the Helix nebula viewed through a 4" telescope at low power. This object is magnificent when viewed through any size instrument. The brightest stars of NGC 371 approach ~7th magnitude making them some of the brightest individual stars in the SMC. 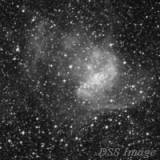 If the Tarantula Nebula is said to be the heart of the LMC, then NGC 346 must surely be the heart of the SMC. This magnificent nebula takes pride of place as the premier object in the SMC. This large nebula is visible with the slightest of optical aid, even the 6x30 finder will show the nebulae. The nebula stands out compared to the other objects in the galaxy. My 90x20 finder shows the nebulae as quite a bright patch with an almost stellar nucleus surrounded by the glow of the galaxy. I have even been advised that some people have seen it with the naked eye. I'm not to sure how accurate those reports are though. A 4" telescope at low power shows the brightest part of the nebula plainly, peppered with a few faint stars. A small central condensation (the cluster) can be seen but no stars are resolved, even at high power. A UHC filter will do little to help a telescope of this size as it restricts too much of the light. It is better to increase the magnification to increase the contrast. The central bar of the nebula is easily visible with a slight brightening at the southern end. It appears to be about 4 arc minutes across, with a pair of 10.5 magnitude stars close by on the western side making a great low power field. The view changes little by jumping up to a 6'' telescope. The southern end of the nebulae is now noticeably brighter and appears to fan out slightly. An 8'' scope starts to show NGC 346's spiral shape, particularly with averted vision. The nebulae now appears to be about 5 arc minutes across. A 10" telescope reveals a bright bar peppered with faint stars. The arms are now visible with direct vision , all be it quite diffuse. The UHC filter blocks the stars dramatically but the arms of the nebula are definitely enhanced. Even the faint outer halo can now be seen with averted vision. It is with a 12" telescope that the nebulae really comes to life. The main bar of the nebulae is bright and has a fairly well defined edge. The arms are easily visible without a filter and the outer halo is visible with direct vision. To me the nebula looks better without the filter because the central cluster is easily resolved into numerous stars. The nebula now appears to be about 9 arc minutes in diameter. The spiral shape reminds me of NGC 1300. Eagle eyed observers may note a slight green tint to the centre portion of the nebulae. I myself have not seen this, at least not in a 12" scope. The view through a 20" ƒ/5 is quite spectacular particularly when you remind yourself that NGC 346 resides in another galaxy. The object is huge covering over 12 arc minutes in diameter. The central bar is bright with a sharp edge and a faint green tinge. The northern end of the bar curls away to the east while the southern end curls west. The northern arm is quite slender and well defined, almost 8 arc minutes long making just under half a revolution. The area inside the loop is dark, adding to the shape edge of the arm. The southern arm is less distinct and quite broad. This arm also curls through almost half a revolution. The inner section of the loop is filled with the ghostly glow of faint nebulae. A faint extension can be glimpsed moving south west from this arm. The cluster in the centre is made up of 12th and 13th magnitude stars. In the centre of the cluster is a small ring of stars surrounded by a box like shape of stars. The entire area is studded by a general scattering of 13th and 14th magnitude stars. The cluster is almost 2 arc minutes across with a good concentration toward the centre. In fact the centre of the cluster appears almost stellar in my finder. Fainter stars in the 15th to 17th magnitude range form a background to the cluster, and appear to be concentrated in the area of the cluster. The UHC filter drowns out the faint cluster members but the nebula really jumps out at you. The northern arm remains thin and bright and quite well defined, but now the area between the arm and the main bar is lightly shaded by faint nebulae. In the very centre of this area is a small dark crescent. Surrounding this arm is a faint glow that extends about 4 arc minutes away. The southern arm changes dramatically as the arm looses some of its distinctness because the fainter nebulae seems to respond to the UHC filter quite well. The nebula spreads out covering a larger area, the faint extension seen without the filter is now easily visible. The area between the main bar and the arm is now almost completely filled in with nebulae except for a small 1.5 arc minute dark patch. From this dark patch a dark lane can be traced leading back toward the middle of the nebulae. This end of the nebula is also surrounded by a faint halo which extends the size of the nebulae to almost 14 arc minutes across. When this nebula is viewed at the lowest power it appears as a near ring of nebulae with a bright bar across the centre. The northern arm has an even surface brightness, gradually fading as it progresses. The southern arm though varies unevenly across the surface. During the course of my observations I noticed what appeared to be a small cluster or compact nebula just off the edge of the southern arm. This object was no more than 10 arc seconds in size with the surface brightness of a 12.5 magnitude star. When I observed it using the UHC filter I found that it responded extremely well. I consulted the information that I had concerning the objects in the SMC, but I could not find any reference to it even in the Hodge Atlas of the SMC. I would estimate that this cluster/nebulae would be visible in a good 12" telescope using at least 200x magnification, as any lower and it would appear as a star. Happy hunting. NGC 330 is one of the brightest clusters in the entire SMC. It is easily visible in a pair of 10x50 binoculars, and can be found 20 arc minutes Southwest of NGC 346. E.J.Hartung described it as "a very bright knot of stars, irregularly round.....in a field sown with faint stars; it is well resolved with sufficient magnification and 7.5cm shows it plainly with some star sparkle.....the stars must be very luminous to be evident in such a remote object". NGC 330 is about 1.5 arc minutes across and the outer stars are easily resolved in an 8" telescope. The brightest stars approach 12.5 magnitude, and the cluster is fully resolved in a 12" scope. The centre of the cluster shows a strong condensation of stars, with loops and chains of stars leading away, most particularly a chain of stars on the south eastern side. The cluster is easy to pick from the background even though it lies almost in the middle of the cloud. It has an integrated magnitude of 8. This cluster is also interesting in that a number of the SMC's brighter variable stars can be found in the area. If the telescope that you are using is able to show 1.5 degrees of the sky you may be able to fit NGC 371, NGC 346, and NGC 330 in the one field of view. Be sure to scan around the area as there are numerous other objects in this area that I have not described in this article.